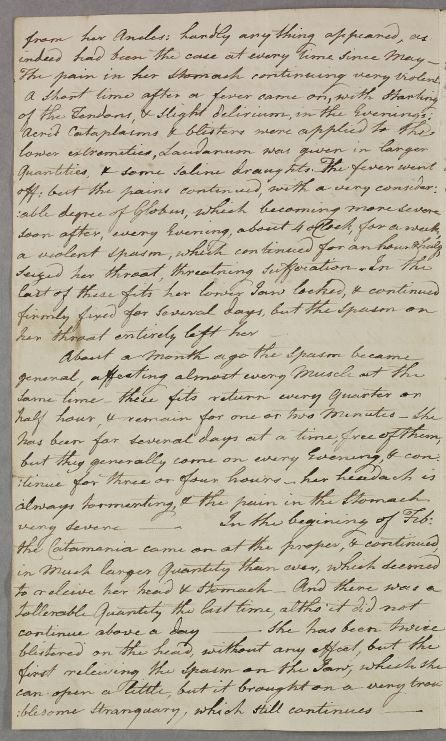 Letter from Robert Ochiltree, concerning the case of Miss Campbell. 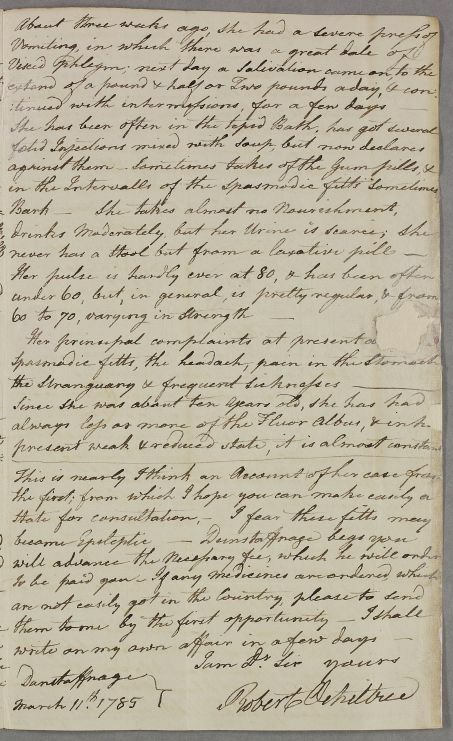 The letter is addressed to Ivie Campbell, care of James Stewart, druggist, Edinburgh, whom he asks to consult Cullen. 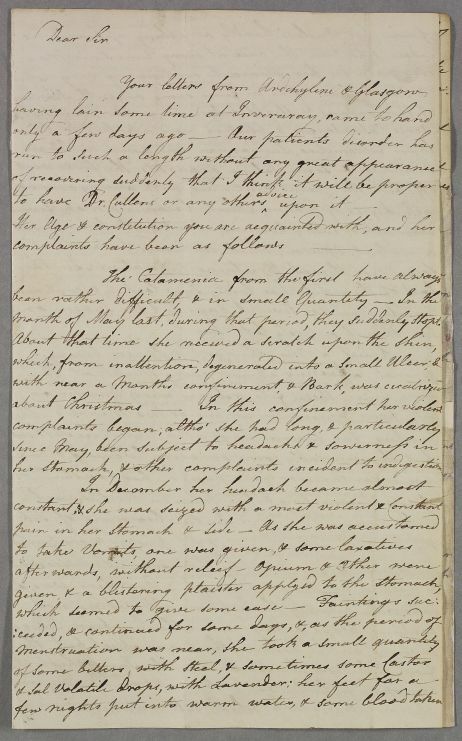 Summary Letter from Robert Ochiltree, concerning the case of Miss Campbell. 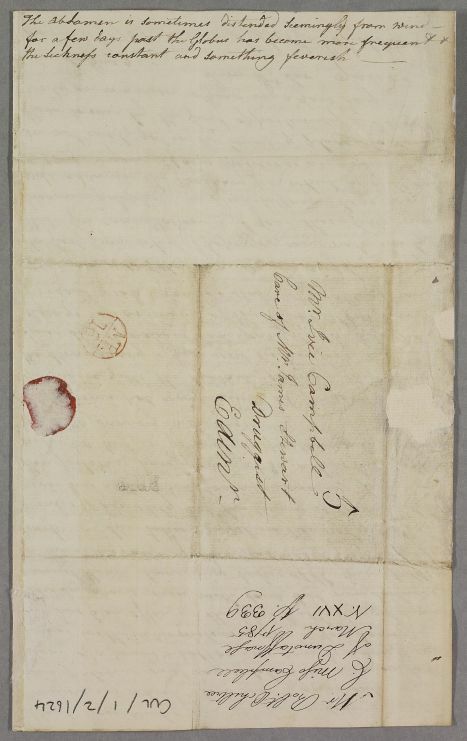 The letter is addressed to Ivie Campbell, care of James Stewart, druggist, Edinburgh, whom he asks to consult Cullen. month of May last, during that period, they suddenly stopt. her Throat entirely left her.